Reminder: Pre-Order Deadline Approaching for Limited Release Chocolate Port kits! 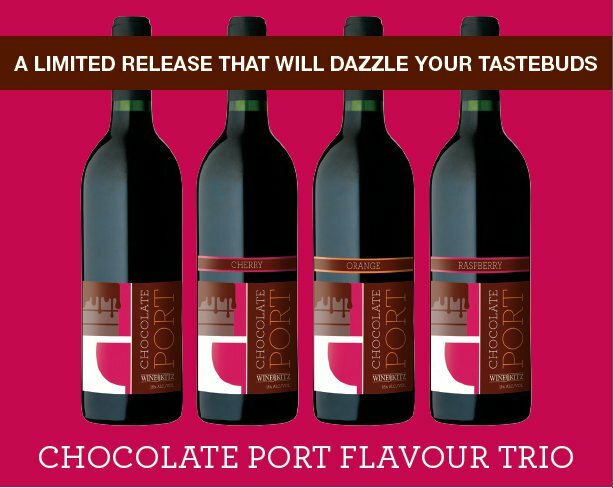 Chocolate Port Flavour Trio kit – don’t miss out! Each kit contains three great flavour choices: Raspberry, Orange and Cherry. The same kit can be used to make one, two, or all three flavours – the choice is yours! Click here to learn more about the flavour profiles of these wines. In the past, we’ve offered both Cherry and Orange Chocolate Port kits, and they have been wildly successful. Don’t miss out on your chance to produce these extremely popular wines!